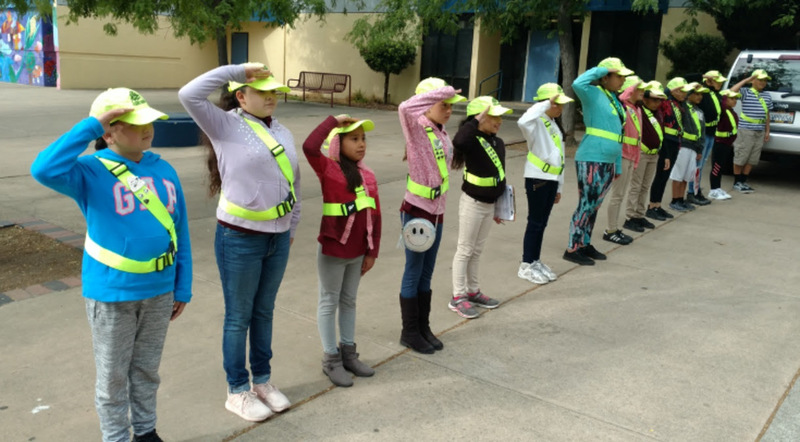 The School Safety Patrol at Esperanza Elementary. 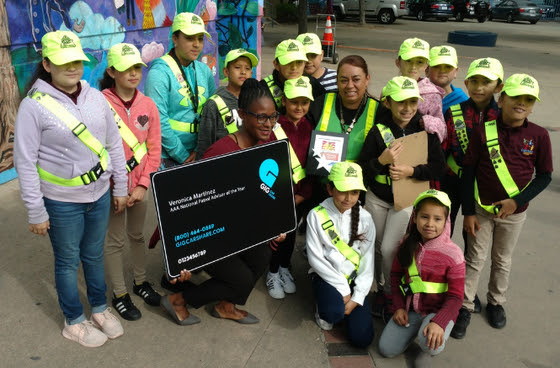 Oakland, CA -- On Wednesday morning, May 30, the School Safety Patrol outside the co-located Esperanza Elementary and Fred Korematsu Discovery Academy did its job of helping students and families arrive to their campus safely. 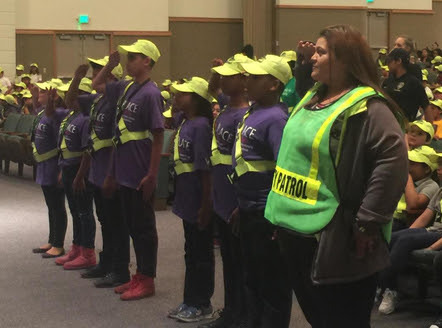 Wearing their neon green patrol belts and hats and helping other young people understand the importance of taking great care when crossing any street, these students showed that they are dedicated and well-guided. But that’s no surprise, as they have an outstanding advisor, Veronica Martinez. The morning was different as staff from AAA Northern California were on hand shooting a video about the safety patrol and all the work the students do. 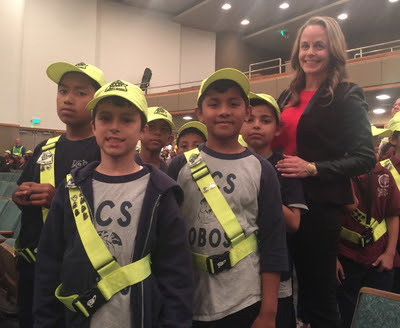 What the young people didn’t realize was that the camera crew was there also to capture AAA leadership telling Ms. Martinez that she had won the honor of Safety Patrol Advisor of the Year for the entire United States. 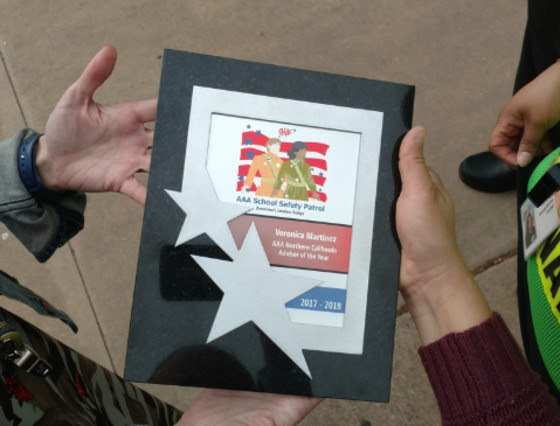 Before winning this honor, Ms. Martinez had already won a regional award for Northern California, Nevada and Utah. Tasha Tolbert from AAA Northern California telling Esperanza Elementary's School Safety Advisor, Veronica Martinez that she has won the AAA Advisor of the Year award. 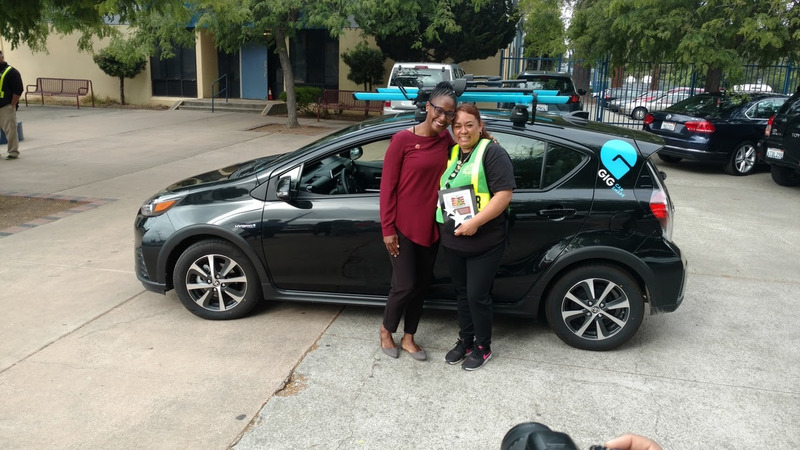 Tasha Tolbert and Veronica Martinez standing in front of a Gig car-sharing car that Martinez now gets to use for free as a thank you from AAA Northern California. The students erupted in cheers and Ms. Martinez laughed in disbelief. “This is very big. Thank you,” she said in Spanish. 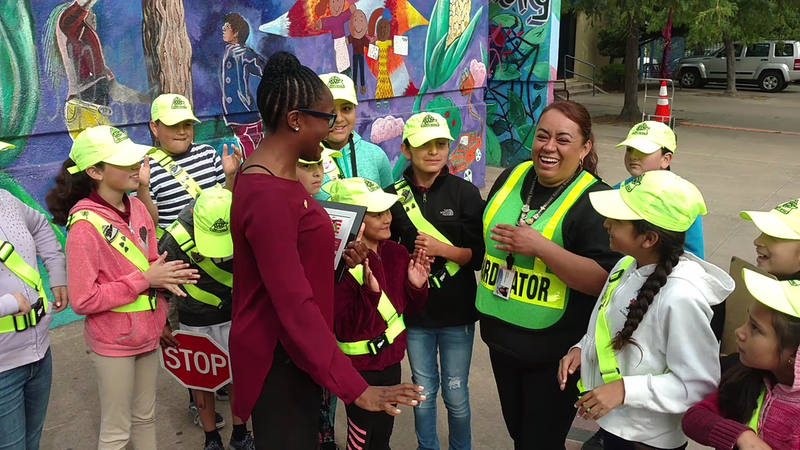 This is the fourth year in a row that an OUSD Safety Patrol Advisor has won the national award. The three previous advisors who won are at Hoover Elementary, Martin Luther King Elementary and Glenview Elementary. Congratulations to Ms. Martinez and her students! Also Wednesday, Safety Patrol program participants from across the District came together to be recognized for their hard work all year long. 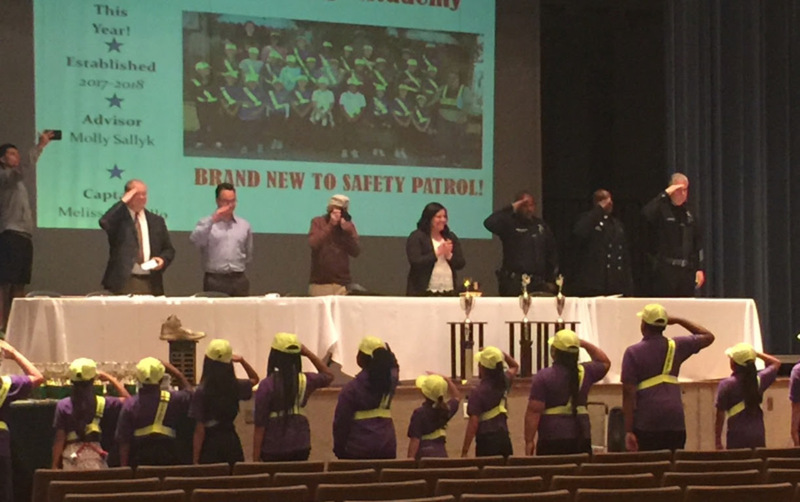 It was the 90th Annual Oakland Police Department / AAA Safety Patrol Pass in Review event at Oakland’s Mormon Temple. The event featured 700 students from 35 different schools receiving awards and gratitude for their leadership in support of safety at all Oakland schools. About 900 students take part in the program. Principal Eleanor Alderman and the International Community School Safety Patrol. 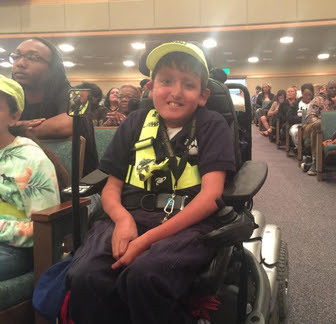 Garfield Elementary School Safety Patrol Member Joseph Cannon Wright. The Safety Patrol from PLACE at Prescott Elementary School. 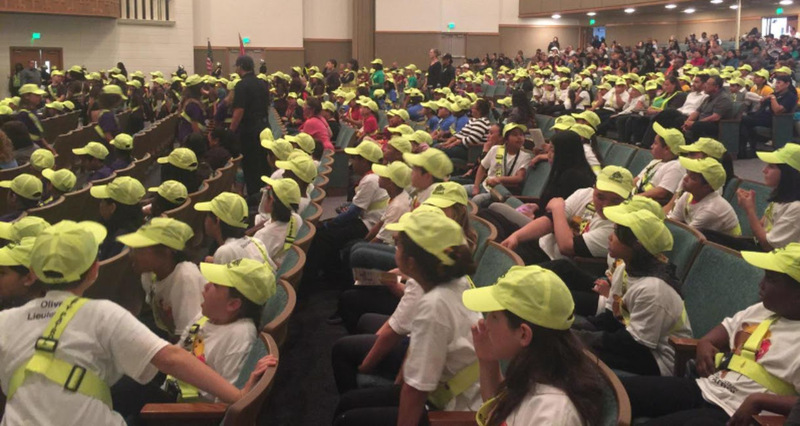 The Oakland Schools Safety Patrol Program is managed by the Oakland Police Department and the Alameda County Public Health Department with critical support from AAA Northern California. OUSD salutes and appreciates all these students for helping to keep our school communities safe. Congratulations!